Man, I almost picked up the kachori and chaha!! My mouth is watering and I can barely type... what a photo. 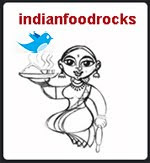 I need to go to the desi neighbourhood and pig out a little this evening, I think. Fran, what can I tell you! 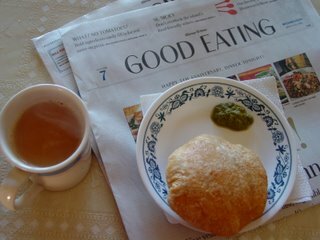 It was such a treat to wake up to garma garam kachori and chai yesterday. I am still drooling, too! Not only have we been catching up with old friends, it's been a medley of tastes. One after another! yummm.... I know what you mean about "going home" to meet old friends. How lovely for you to be treated with such love and lovely food! SH, you're too funny! It's the best I could to do share. To wake up to the smell of kachoris being made and a hot cup of masala chai...bliss!